The name Darjeeling is said to be derived from the word "Dorjee Ling" which means Thunder Bolt place. Darjeeling situated at an altitude of 2134mt is a one of the famous hill stations in North Bengal. Blessed with exquisite scenic beauty, Darjeeling attracts travellers of varied interest from around the world and thus it became one of the renowned tourist places in India. Often known as the Queen of Hill station, Darjeeling is a complete holiday destination to fulfil the utmost desires of holiday makers. Enclosed with daunting hills and lush tea gardens Darjeeling has never failed to mesmerize its tourists' expectations more often than not. This hill town was developed in the mid 19th century, when the British set up a sanatorium and a military depot in Darjeeling. 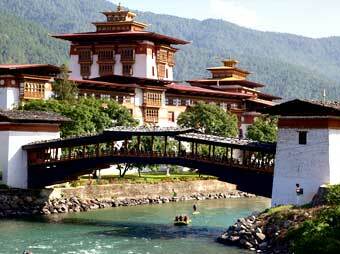 Before this, Darjeeling was the ancient Gorkha capital. Later, the Maharaja of Sikkim gifted Darjeeling to the British. Apart from its scenic landscape, Darjeeling is equally famous for its unique railway. A visit to the region is incomplete without a Joy Ride in the famous Darjeeling Toy Train. The toy train is popularly known as Darjeeling Himalayan Railways or DHR. It is approximately takes 8 hrs. to reach Darjeeling from Siliguri by riding the famous Toy Train. The famous Darjeeling Tea is one of the major exports of the city along with tourism, agriculture and forestry being the major source of the Darjeeling's economy. The lush tea garden dotting the scenic hill station is one of the famous tourist places in Darjeeling. Surrounded by the roaring Teesta River and the Mahananda Rivers, Darjeeling provides spectacular views of the mighty Mt. Kanchenjunga. Darjeeling attracts a huge number of tourists each year with its pleasant climate, luxuriant tea garden, meandering rivers, grandiose waterfalls and the amazing views of the Eastern Himalayas. Darjeeling being a hill station and the official summer capital of the Kolkata is well-connected to all major towns and cities in West Bengal and the neighbouring states. The nearest airport from Darjeeling is Bagdogra Airport (IXB). The distance between Bagdogra Airport (IXB) to Darjeeling only being 67km. Darjeeling is well-connected with all major railway stations in India through the New Jalpaiguri Railway Station (NJP) and has several trains available via Delhi, Mumbai, Chennai, Bangalore, Bhubaneswar, Kolkata and Kochi. 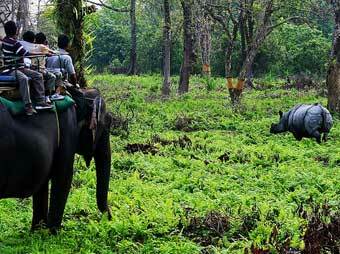 Tourists can cover this distance of 72km from NJP to Darjeeling by hiring a car from NJP. Buses, shared taxis and jeeps can also be availed to reach the Darjeeling from the neighbouring town of Siliguri. The weather in Darjeeling constantly stays cool with frequent showers due to the region's proximity with the Bay of Bengal. Every season has its own charm to relish in Darjeeling. But if tourists want to catch the unhindered view of Mt. 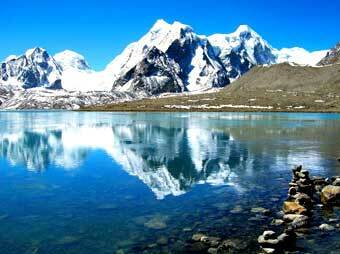 Kanchenjunga, October to December is the best time to visit Darjeeling. Apart from witnessing the amazing view of snow capped Mt. 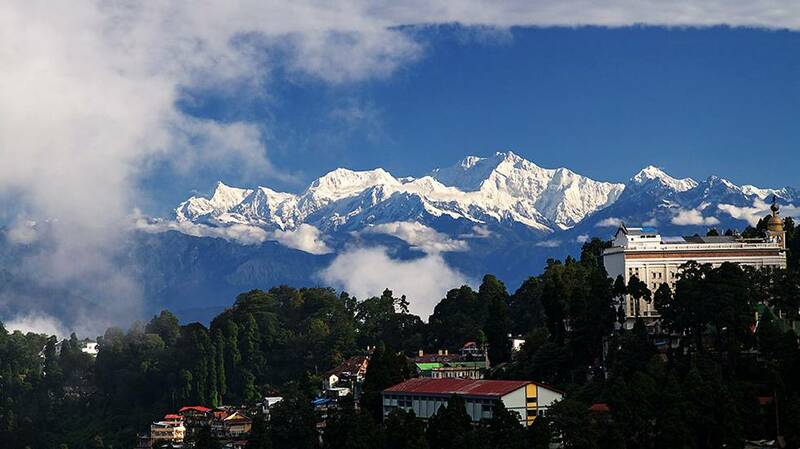 Kanchenjunga during this time of the month, tourists also get to enjoy the soothing weather of Darjeeling before the harsh winter engulf this serene hill station of North Bengal Region.